Why did you drill a hole for the tap? Did the tank not come with built in outlets and inlets? No. 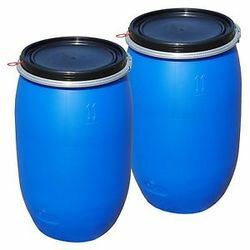 At the height of the rush to buy containers earlier this year, I got one of those 220L blue drum tanks. so rain is done for the year? Played golf out at Theewaterskloof yesterday. Although there are still lots of little islands poking up as well as the tops of shrubs and trees visible, it looks infinitely better than it did 5 or 6 months ago. If we can survive the Summer and get good rains again next Winter, it might end up close to full. No . For everything to be normal, it is reasonable to expect at least the long term average of rainfall each month. i need to collect some water for the pool. should have sorted this long time ago. Last Tom Brown report I can see was on 11SEP, anybody seen anything more current? We had a very good OCT17 in terms of Dwarsberg mm, last few years before that have been as poor as we are having now. I drove past Theewaterskloof dam yesterday... still looks incredibly low. Hella lot better than in March this year though when I was last there. Will probably take another 2 years of good rain to fill. Given that it takes 2 years to fill, Theewaterskloof is not really a dam, but an overflow reservoir for the Berg River Dam, which takes less than 6 months to fill in normal years. There were mutterings that it should never have been built so large, because valuable farmland was taken out of production. In reality that last 20% of capacity is very rarely used, and evaporation is a huge issue. However, there is zero chance of the dam wall being lowered. More rain on the way in the next few days. Meanwhile here in PTA, we have roads flooded low water bridges closed, subways flooded, and more than 60 mm of rain in less than an hour. Is that common up there? Only during big storms/cut off lows.